Best Apps to Get Organized to Do the Mom Thing! 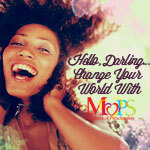 You are here: Home / All Things Motherhood / Best Apps to Get Organized to Do the Mom Thing! If you missed my post yesterday, check it out (5 Tips to Make the Working Mom Thing Easier). 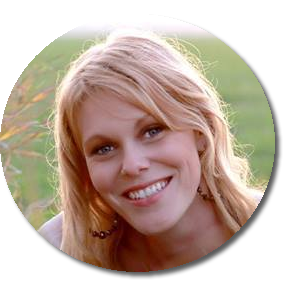 I’m sharing how I’ ve been transitioning into being a working mom. By day, I’m a mom and writer. By night, I’m a Production Assistant. So how have I been keeping it all straight? By getting O.R.G.A.N.I.Z.E.D. Here are a few of my favorite apps my family and I are using. And here are 11 of my favorite Apps that help make life just a little easier while I’m on the run. LOVE this app, who has time to manually enter and track all transactions? This baby sends notifications to your email and gives you all-in-one money management for cards, bank accounts, investments, budgeting, income and expenditures. Mint automatically syncs up with your financial institutions and delivers all the info to you. Love it and so does my husband. I’ve asked friends about it who weren’t fans and opted to go with Check, another comprehensive and free app! 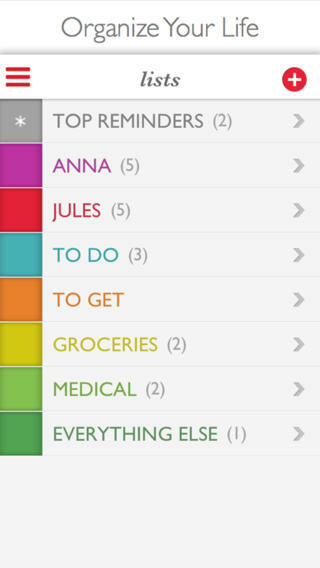 View individual schedules, or the whole family all at once in a color-coded calendar. 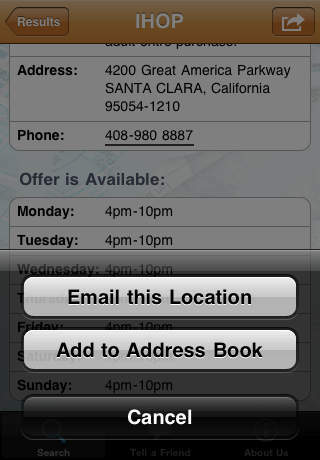 Receive appointment reminders on your mobile device or by email. Get an agenda email for the upcoming week sent direct to the inbox of any family member. View existing Internet calendars, including personal iCals (Google or Yahoo calendar), or public iCals (sports or school calendars). Use Cozi’s Schedule feature to enter recurring activities like sports practices, childcare, and school schedules. 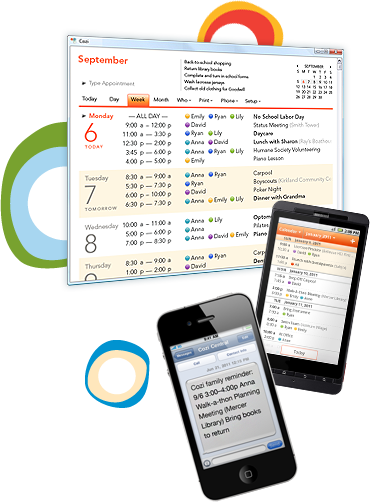 Sync Cozi with Microsoft Outlook or get your appointments right on your desktop with the Cozi family calendar gadget. The downside is all the ads the show up but you can upgrade for more features and no ads for $29.00 a year. If you don’t really need to share your schedule with anyone else and just need to keep yourself on track, a personal assistant will work great for you. Keep Everything in one place: appointments, kids activities, shopping lists etc. – Grocery iQ® is an intuitive shopping list that allows you to build new lists quickly with features like predictive search and barcode scanning. You can customize the arrangement of categories within your list so you can check off items in an orderly fashion as you navigate the store. Available online and as an app. Simply speak, see your text content, and send it anywhere. Dragon Dictation gives you the flexibility to dictate for any situation, make grocery list, keep a list of things you want to talk about with your child’s teacher or use it for your to-do list at work. LOVE THIS ONE. Fast barcode scan (all UPC, EAN and QR formats) using multiple orientations. Search by keywords. If you don’t have a barcode, type in the title and search. Community-powered. If we are missing a barcode, you can add it to our system. Have fun: shake to see a random product. Organize your searches in lists. 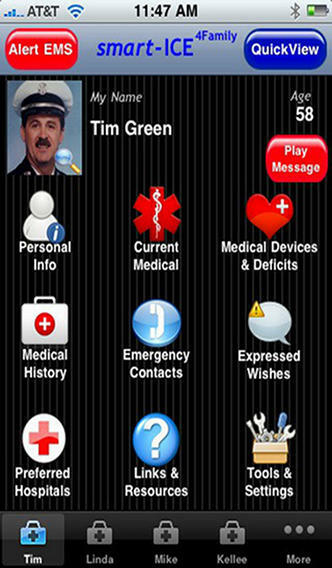 Alert EMS button- dials emergency services and sets phone into Alert Mode where an intermittent alarm sounds if the patient becomes unconscious. This piercing alarm can also be used to help locate the owner in a collapse situation. • A “My Location” button that quickly finds the current location to give to EMS dispatchers. • Audio Recorded Message that plays on opening and is recorded by the patient. • E-mail capability, with built in HIPAA privacy statement. This feature eliminates the need to fill out those long forms for doctors. • Password Protected Insurance Information with full app “Edit Protection”! • QUICKVIEW capability provides one button access to all of the stored data for EMS providers! • Customizable views…icons or tabs, audio or Quickview. • Drop down lists for hundreds of the most common medications and medical problems that means less typing, more accuracy and easy edits for changes! • The first ICE applications with a built in Wallpaper feature for locked phones! • Smart-ICE stores all of the information necessary to treat you in an emergency and much more! 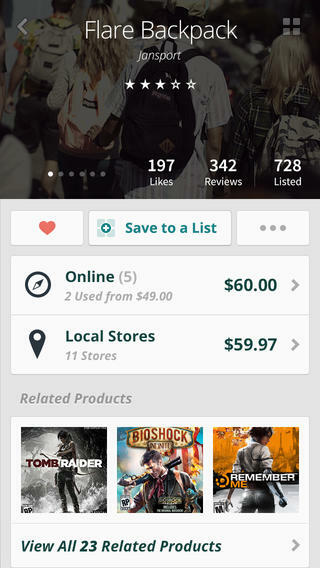 I just started using this app and so far I like it minus the price. 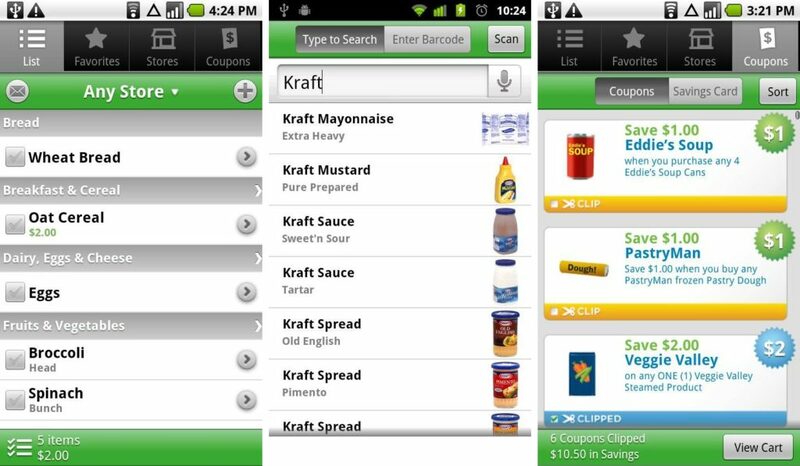 This one you do have to pay for but it creates and sends meal plans, shopping lists to your inbox and is accessible on your iphone. eMeals – Start saving your time, money and sanity with the meal planning solution that has solved the dinner dilemma for hundreds of thousands of families! The app allows current eMeals subscribers to access their breakfast, lunch, and dinner meal plans for easy planning, shopping and cooking. eMeals is a comprehensive meal planning resource that helps provide healthy and delicious dinners for busy families and individuals. Endorsed by financial guru Dave Ramsey and highlighted in the Oprah Winfrey blog, the eMeals weekly dinner plans include grocery shopping lists and recipe instructions that are simple and easy to follow. 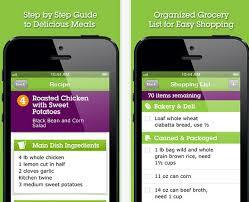 Download today and take the stress out of planning, shopping and cooking delicious, homemade meals. For those nights when you are traveling or it is just plain busy, this app helps you find resturants where your little ones eat free. This is the first application created for locating thousands of restaurants offering “Kids Eat Free” nights, with our expanding list of over 8,000 United States locations and counting including dozens of popular national chains. This application uses your current location to pinpoint the closest restaurants in your area offering free meals for kids. The power behind Kids Eat Free is our dedicated full time staff searching out new restaurant locations each week, making this app the single most useful utility for finding great family meal deals 7 days a week. Our useful app will pay for itself twice over with the savings you get from your first free meal. Best of all you dont need a discount card or coupons to use. We have several family trips coming up and I’m looking forward to trying this out. Get peace of mind while traveling, by having all your plans in one place. The app states no more frantic searching for confirmation emails in your inbox – or worse yet – hunting down that pesky manila folder. TripIt is an easier way to organize and share travel. 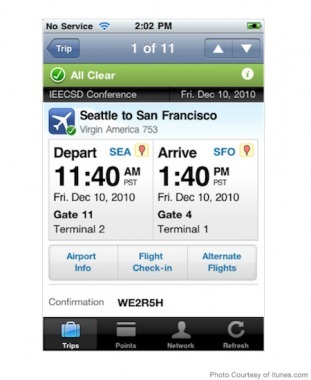 TripIt “automagically” takes all your trip details and creates one truly helpful itinerary that’s there when and where you need it – on your iPhone or iPad, sync’d with your calendar, and online at tripit.com. You can easily share trip plans with family or colleagues directly, or let Facebook and LinkedIn contacts know when and where you’re headed. When you are sitting at the doctor’s office or waiting to pick your kiddo from school, this app is great to have. It organises your prayers and helps get you into a routine of praying intentionally instead of sending up popcorn prayers. I use this one along with Beth Moore’s Praying God’s Word Prayer Cards . Prayer request management. 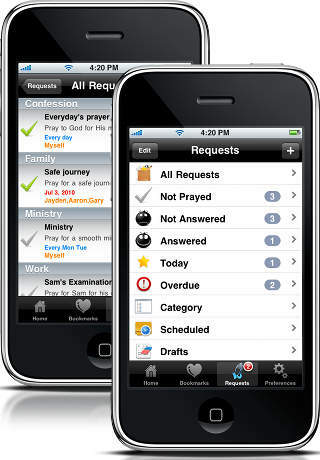 It creates prayer requests in just a few steps and has 9 types of prayer request categories: All requests, not prayed, not answered, answered, today, etc. These are just a few apps I use. What do you use and why? Does it make life more manageable?